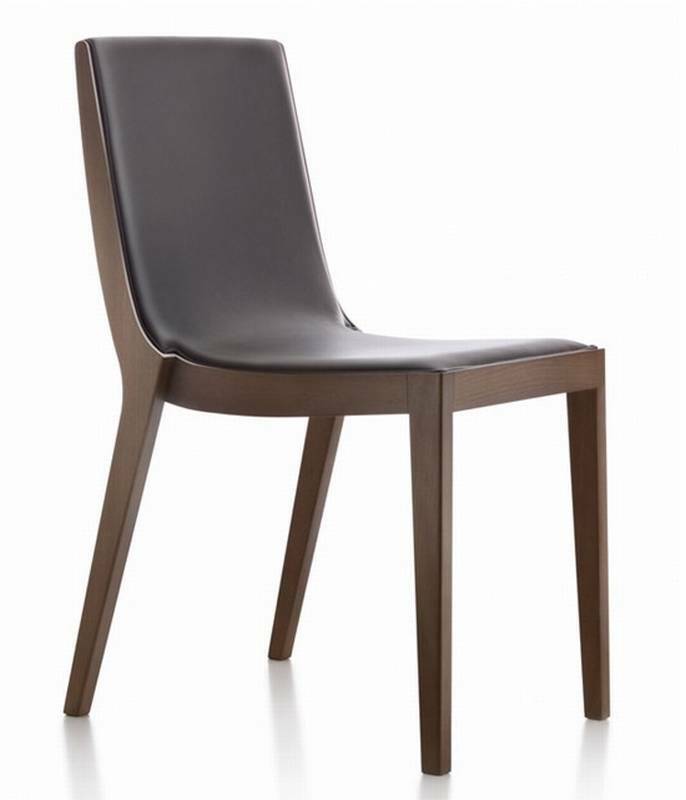 Description An ultra-stylish dining chair with soft continuous lines. Seat and backrest in curved oak, structure in solid beechwood. Seat upholstered with variable density polyurethane and covered in leather or fabric (see samples below for all wood, fabric and leather options). Lounge chair and stool also available, and a dining chair without upholstery, see related products below.